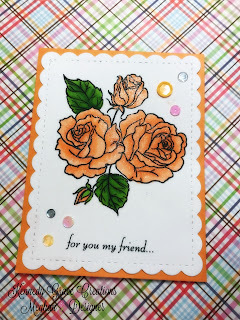 I then quickly colored the rose using 3 different YR Copic Marker colors; YR61, YR02 and YR65. 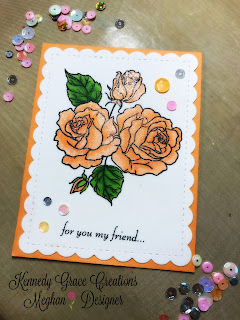 I wanted to achieve a coral colored rose....however, it came out a little more orange than I expected. I love how it turned out, although it wasn't exactly what I anticipated when I began coloring. 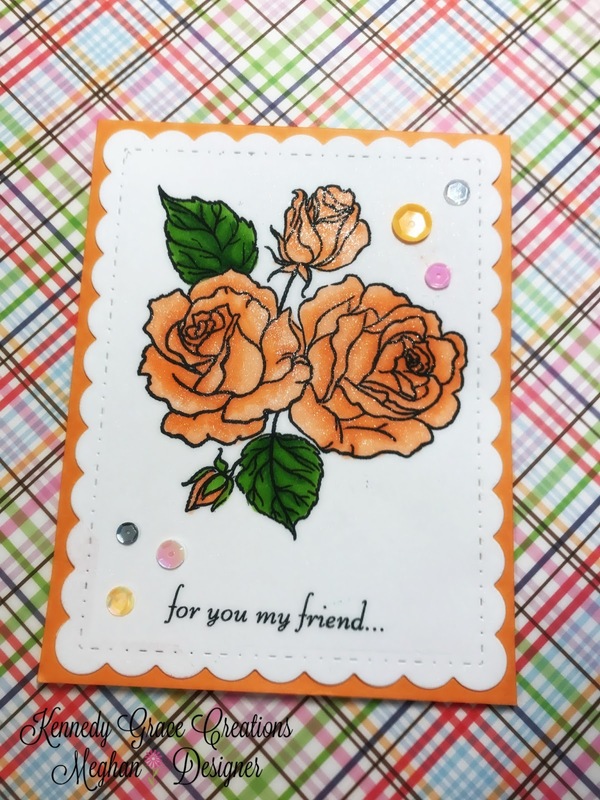 Lastly, I added Kuretake, Wink of Stella shimmer pen to the roses and adhered the panel to some Bazzill Basics Paper cardstock in the color, Marmalade Blast. I hope you enjoyed this quick and easy Copic colored greeting card! Thanks for visiting my blogpost! Gorgeous coloring and colors of sequins!